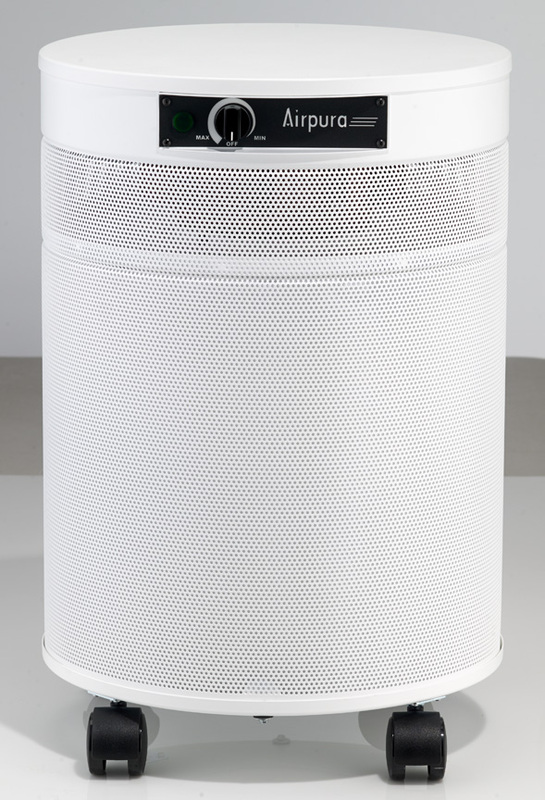 A Powerful Portable Air Purifier Designed for Healthcare Providers and Fitness Centers, with Large 3" Deep Heavy Duty HEPA Filter and Useful Options Such as UV Light for Pathogen Sterilization Carbon for Odors & Chemicals and Negative Air Kit for Isolation Rooms with Up to 2000 Square Foot Coverage. Healthcare facilities, gyms and fitness centers often have one thing in common: high levels of particle pollutants contaminated with microorganisms and odors. However, the air in these spaces also often contains potentially contaminated and infectious micro-droplets of moisture released as people exhale. These micro-droplets can quickly ruin a normal HEPA filter by causing the fibers to swell, restricting airflow. The Airpura I600's special 3" deep HEPA is able to absorb these droplets and allow the moisture to dissipate while trapping 99.97% of potentially infectious particles. By adding the optional 20 watt UV bulb in the filter chamber, any airborne bacteria or viruses can also be destroyed, helping to reduce the greatly chances of illness in the filtered space. The I600 includes Airpura's famous 360 degree intake to remove chemical, odor, particle and bio-pollutants from all directions at once, not waiting for them to float to one side or the bottom to be taken in. 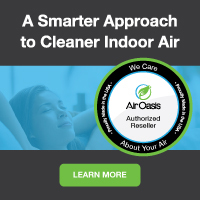 This provides faster air quality improvements and better overall pollutant removal. 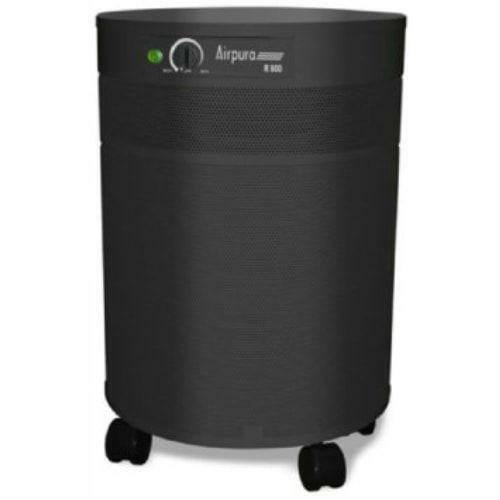 Airpura air cleaners also prevent indoor air re-pollution by providing sealed components and filter chambers so that there's no off-gassing, again making the Airpura air cleaner one of the best for chemically-sensitive individuals or highly-controlled enviroments, clean rooms, etc. An optional HI-C carbon weave filter can also be added for reduction of chemical, smoke or bio-odors. And if needed, the Airpura I600's optional negative air kit can be attached to create an isolation room or area. Finally, with a full 560 CFM (cubic feet per minute), the Airpura I600 can cover up to 2000 square feet with one unit, saving you money where other air cleaners with less CFM would require purchasing several units to cover the same size space. Airpura is one of the finest, most effective portable indoor air cleaners available today. Order your Airpura I600 here at a discount online sales price and feel the difference that a high-quality institutional-grade air cleaner can make!